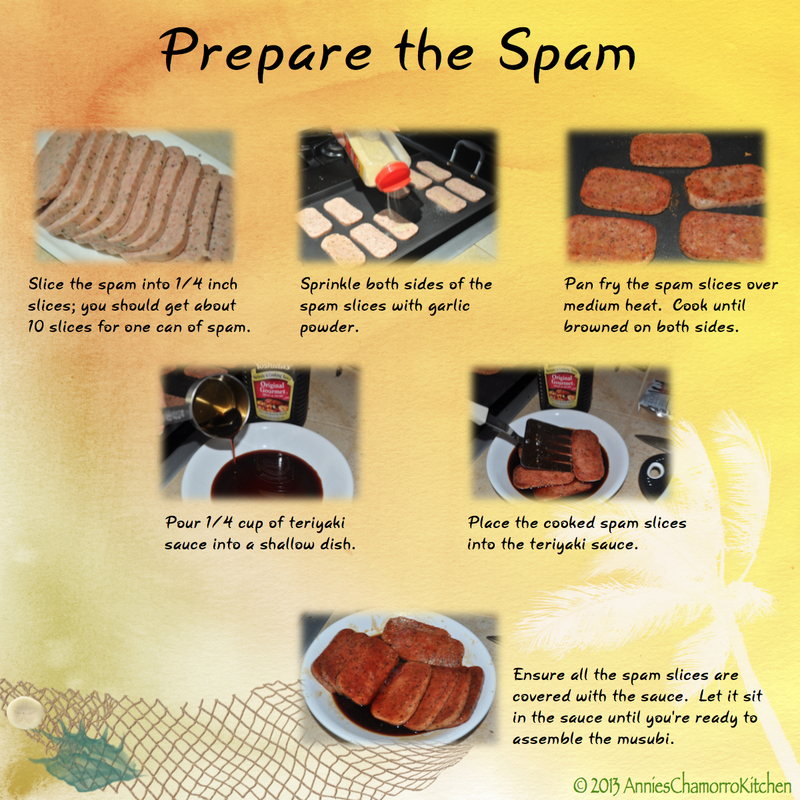 I love SPAM! 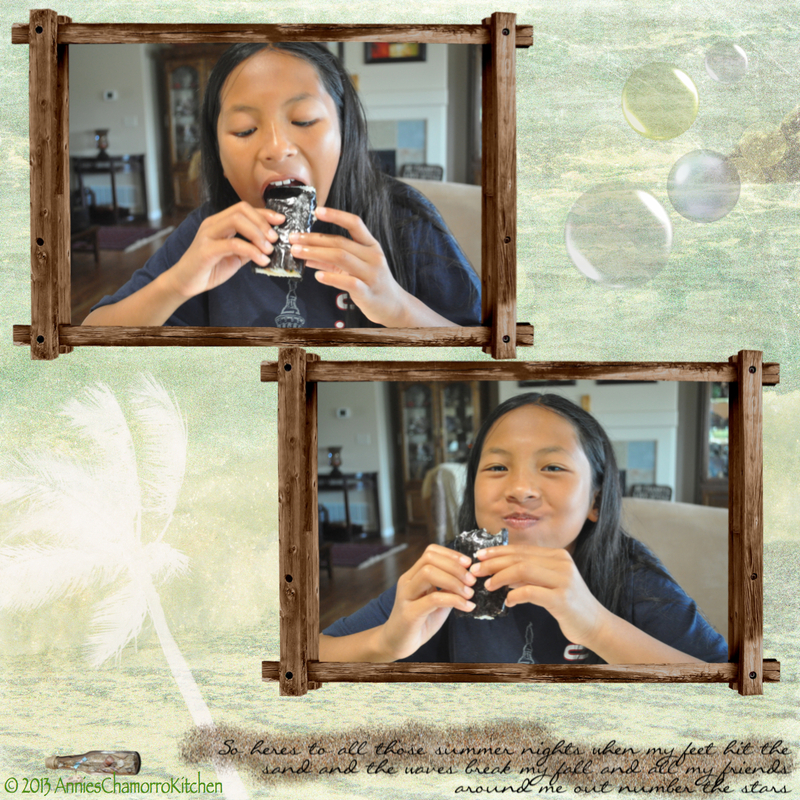 If you’re from Guam, chances are you love spam too. If not, well, don’t criticize until you try it. 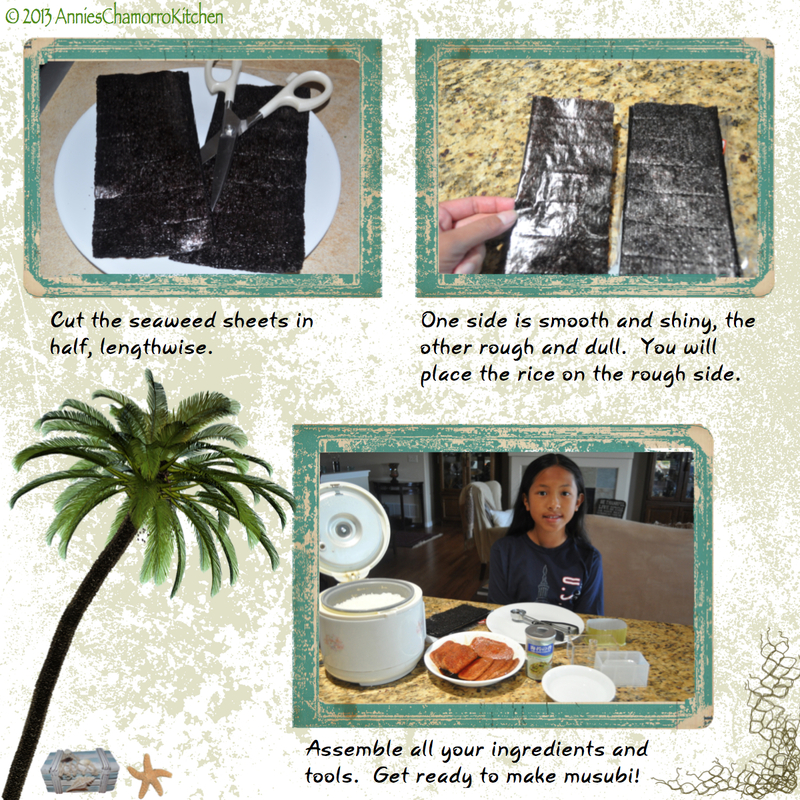 Now, back to the important stuff…MUSUBI! 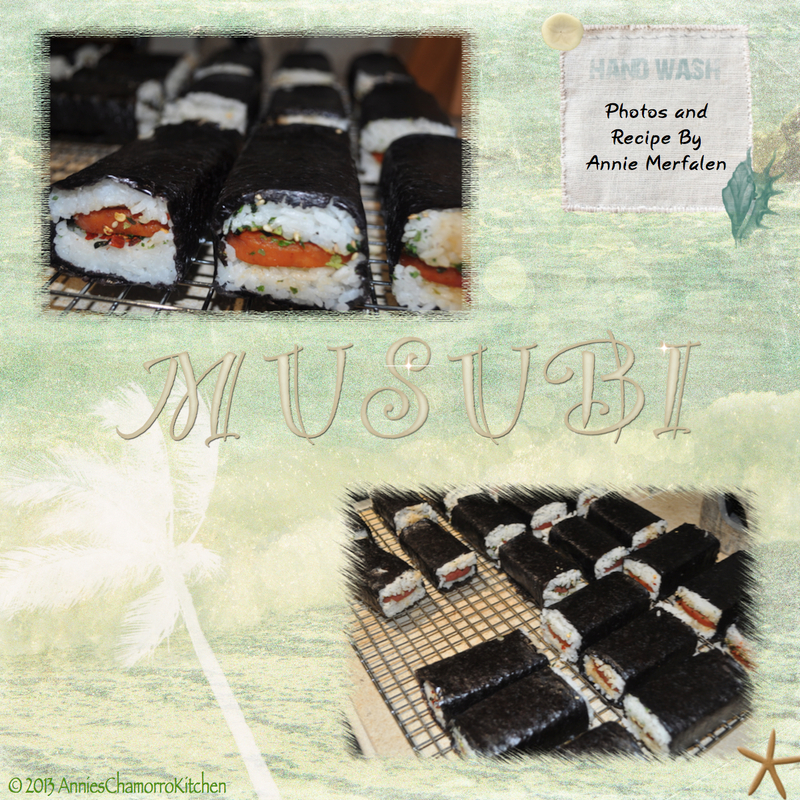 Musubi is a popular snack, not just on Guam, but in Hawaii as well. 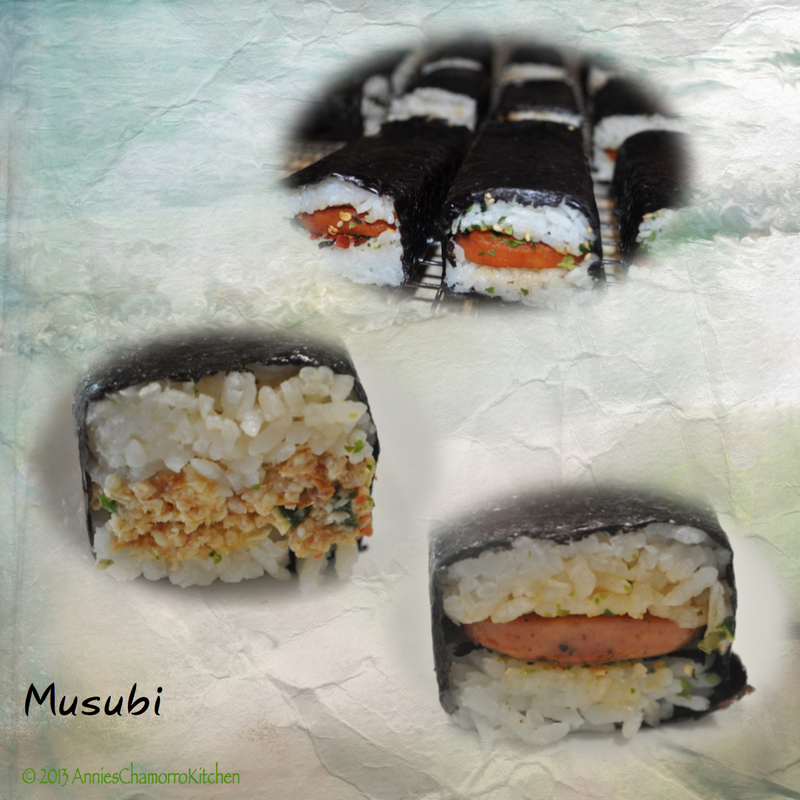 Sometimes you’ll hear it referred to as Spam Sushi. 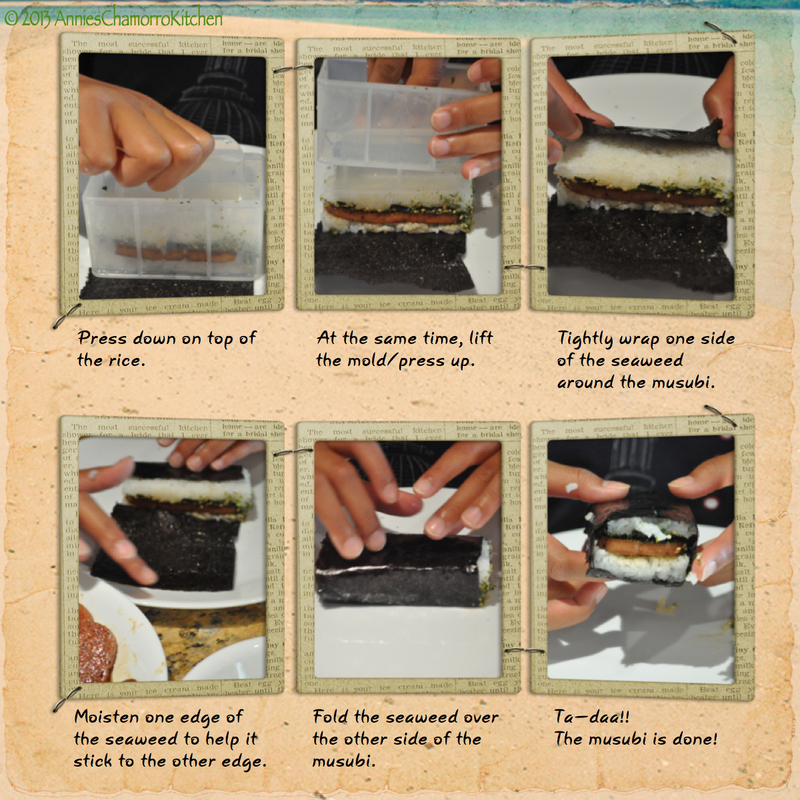 It’s made of a slice of spam that’s been grilled, then topped with rice and wrapped in nori seaweed wrapper. 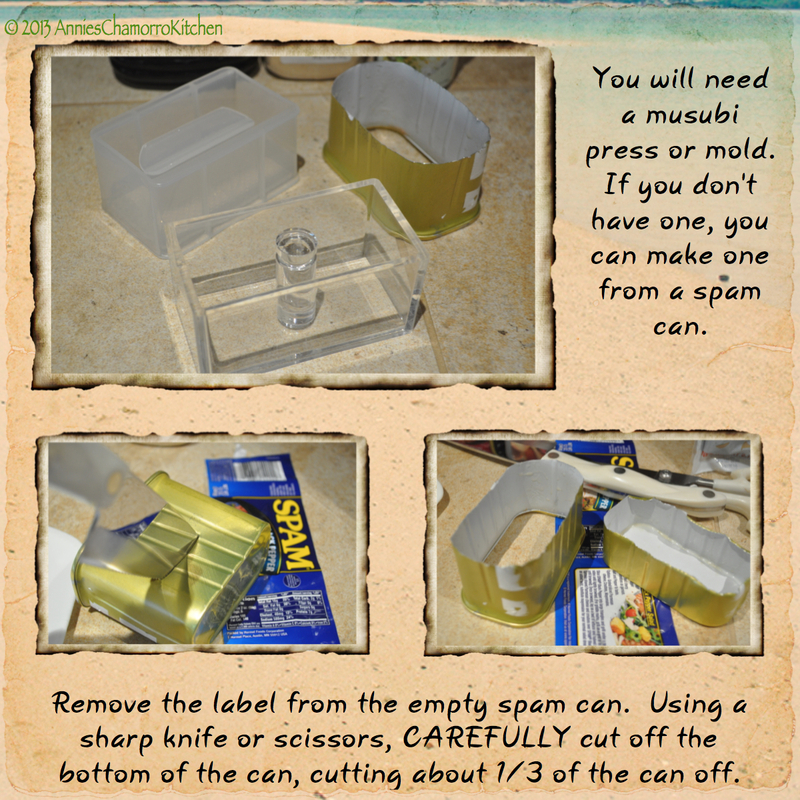 I like to soak the fried spam in a sweet soy sauce mixture before assembling the musubi. The sweet-saltiness of the spam takes this to a whole new level. 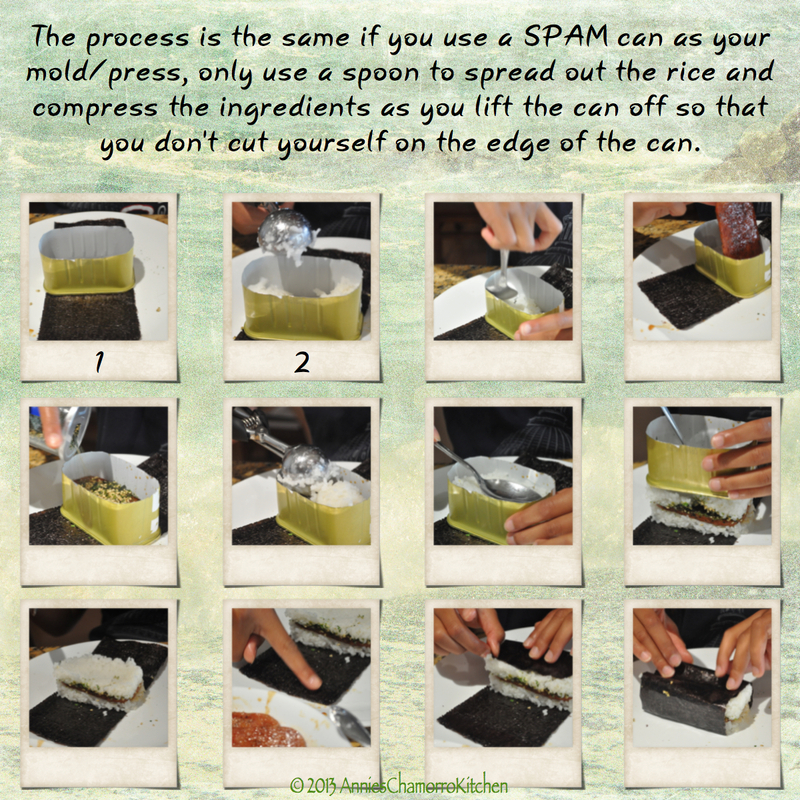 The photos below show my step-by-step process for making Spam Musubi. If you’ve never tried it, now’s the time. 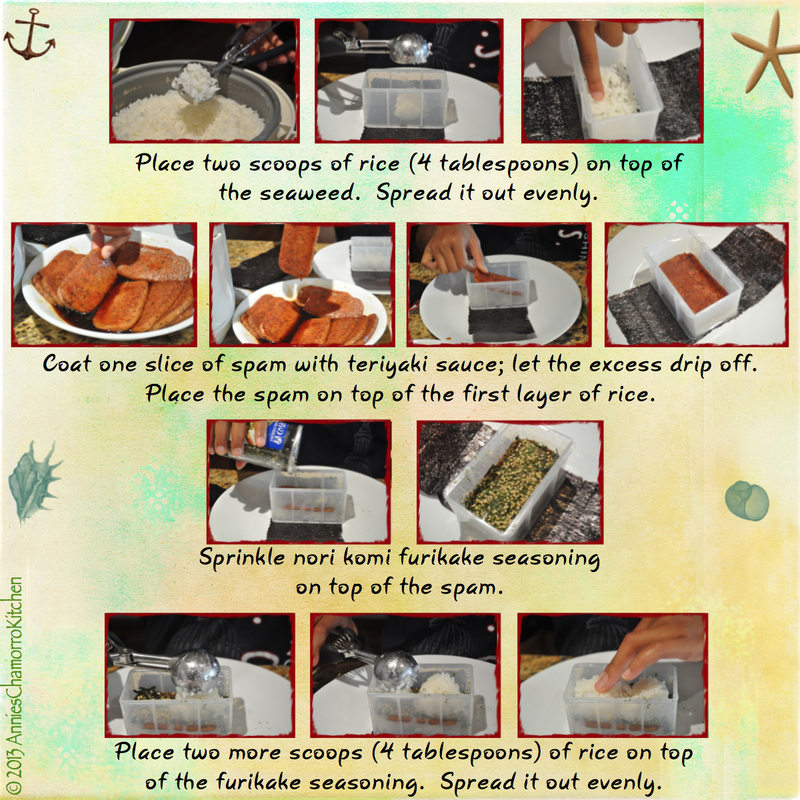 I just remembered ANOTHER story about Spam…one where I won a radio contest…but I’ll save that for another Spam recipe post. 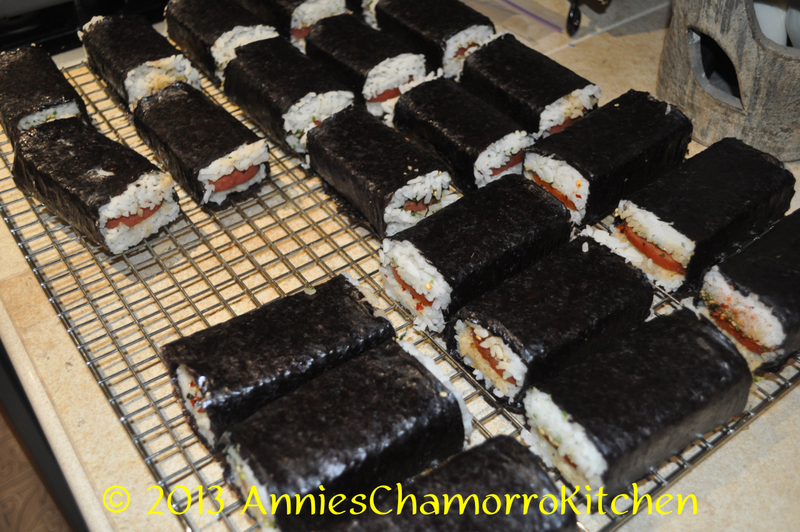 In the meantime, make some Musubi. 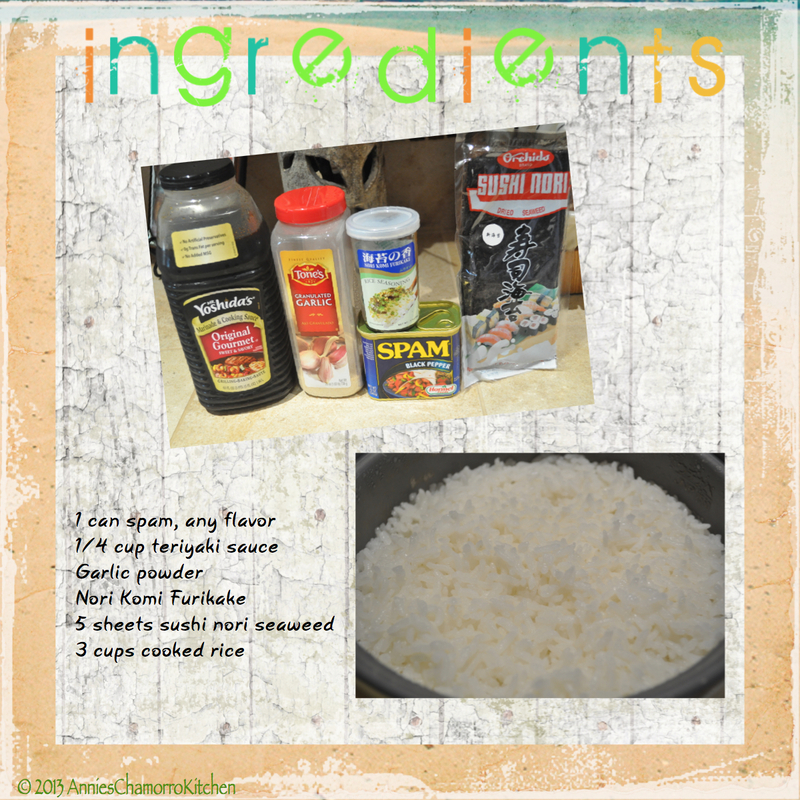 Or, just fry up some Spam and serve it with hot white rice, fina’denne’ and some kimchi. Mmm Mmm Good! Be creative! 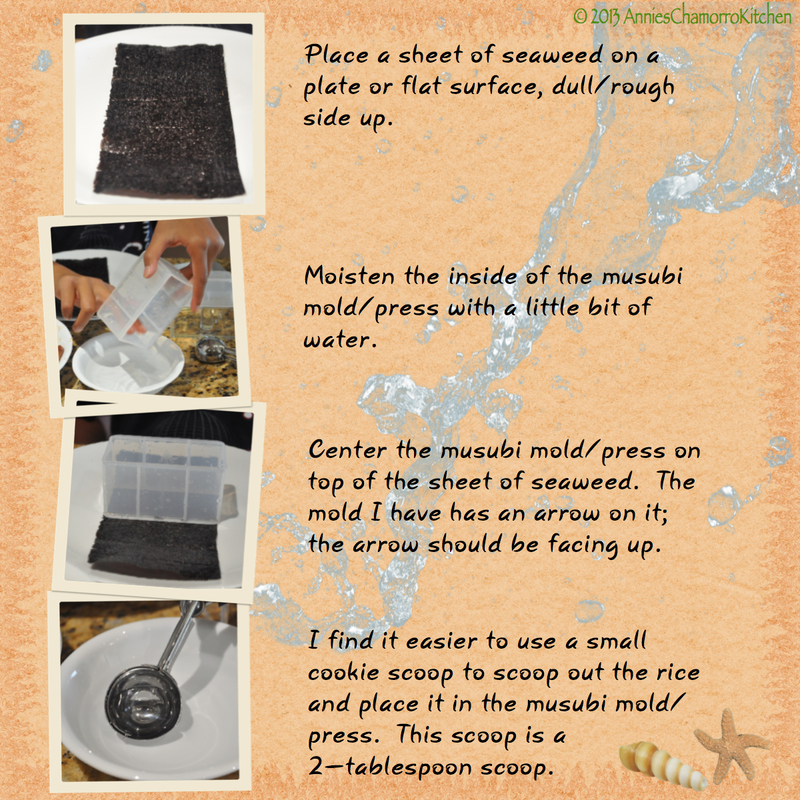 You can make Musubi with any type of filling. 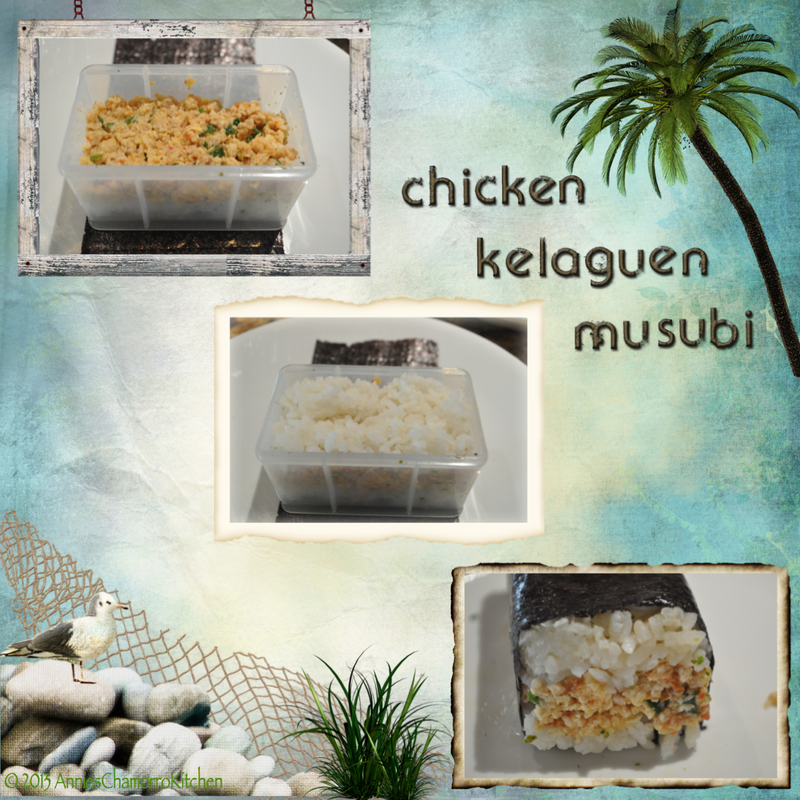 I used Chicken Kelaguen to make the musubi pictured below.